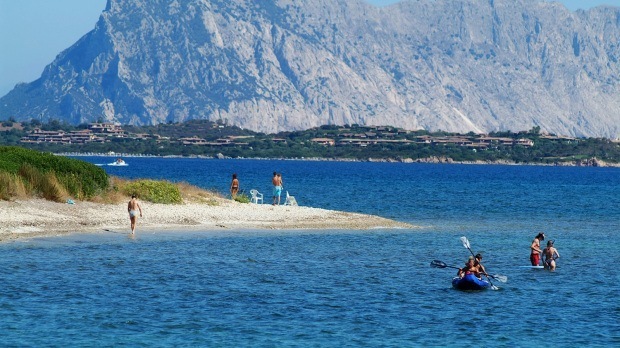 San Teodoro was characterized in recent years by a strong tourism and the capacity to welcome all types of tourists. The territory is rich in natural beauty of immense environmental value. The coast has a large area of ca. 35 km and alternate granite cliffs, beaches of fine sand, stretches of maediterranean vegetation and coves with a beautiful sea, where the water is clear and pure. A unique natural monument in the world is Tavolara Island, the heart of the Protected Marine Park. San Teodoro is not only sea, it has zone of great interest, such as the large pond full of valuable fish and populated by numerous and varied fishes and birds, including pink flamingos. Very interesting and beautiful minor ponds like Ghjlgolu, The Pipara, Brandinchi, the Isuledda etc. In the area of Montipitrosu in Punta Molara, it is the “garden of the mediterranean vegetation”, an area of botanical, and geological interest San Teodoro is also country, picturesque hills and mountain: Mount Nieddu, the great granite rck that closes the Gallura, with Punta Magghjóri that reaches 970 m.
The urban center of San Teodoro is full of an intense night life, and it is considered one of the main places of attraction for young people. At 45 minutes from Porto Cervo and 55 minutes from Nuoro (ideal base for excursions in Barbagia). San Teodoro is also very popular for families with children for the presence of numerous services and sports activities also for children, as well as for the mild climate and a always clear sky. 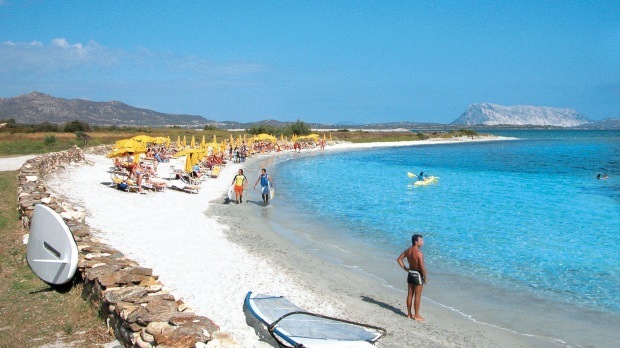 The Isuledda on the road to Porto Ottiolu, 2 km from San Teodoro, a beautiful beach, located close to a small pond, with a fine white sand and clear blue-green waters. Capo Coda Cavallo 8 km, with 4 beautiful beaches including the famous “Brandinchi”. Nearby there are also many beaches and coves.